Bathgate Community First Responders is a charity organisation set up to offer assistance to the Scottish Ambulance service by attending to appropriate 999 calls within Bathgate. The group was set up with the assistance of the Scottish Ambulance service. It is based in Bathgate for the care of Bathgate's community and staffed by volunteers who live or work in Bathgate. We know that there will be circumstances when the Scottish Ambulance service cannot attend to emergency calls as quickly as they would like. 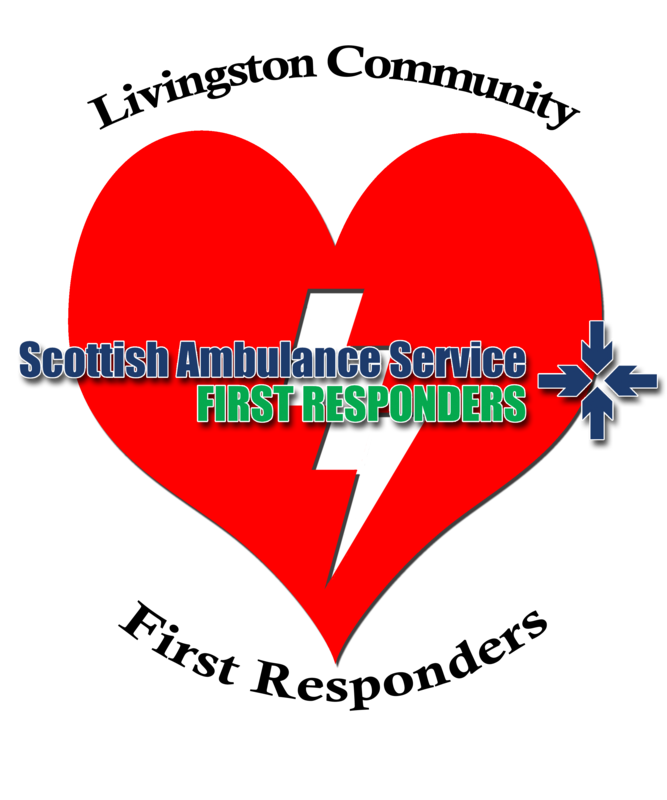 By combining local knowledge with the training provided by the Scottish Ambulance Service the Community First Responders will attend to patients and provide Basic Life Support until the Ambulance crew arrives. Bathgate was the initial community first responder scheme. It was instigated by two local Scottish Ambulance Service employees that saw a need. The group originally formed in May 2009 and has gone from strength to strength. With the success and regular use of the Bathgate group we began to get volunteers and calls in Armadale. So it was a logical step to begin the set up of the Armadale wing of the group. Armadale has now had a community first responder residential presence since 2012 that is regularly used. Whitburn found itself in a rather lucky position when an existing community first responder moved in with their kit. This community first responder decided to join with our Bathgate group. So since 2012 there has been a Whitburn wing of the group that has been regularly responding to emergencies in Whitburn. One of our Armadale responders moved to Broxburn and made it her mission to get a team estiblished. With a lot of community engagment and fund raising, Mags established the team in 2015. We are always looking for volunteers and donations. Livingston is our latest Community First Responder team to be set up. We have been working with the ambulance service to get Livingston up and running. It has very quickly become busy we are not just responding ahead of the ambulance service, we are also being deployed as an additional resource in difficult calls. We are always looking for volunteers and donations.